Do you know how much your home is worth? No, really, do you? Homeowners and buyers across the country often answer this question by turning to a figure known as a Zestimate, produced by Zillow.com. Zillow’s intention is to create an accurate value estimate for the over 100 million homes indexed by the site. Although it won’t give you a figure that’s right on the nose, it can provide a price range to start with during your real estate negotiation. A Zestimate is Zillow’s attempt to use algorithms and publicly available data points that influence housing prices to estimate a home’s value at any given time. While this is a good idea, in concept, it’s important for buyers and sellers to realize that there’s a bit more to predicting prices than the cold, hard facts. Often, real estate becomes a very personal and emotional buy. Two houses with the same floor plan, but different shades of brick or different trees in the front yard can have different values to the person doing the buying. That’s really what matters. Ultimately, a home is only worth what the market will bear and what a buyer will give. Zestimates became popular because outside of an appraisal or comparative market analysis generated by an experienced Realtor, it can be really hard to judge whether your home is gaining or losing value. After all, no one wants to bet on a losing horse, even if they live inside that horse and it provides them with shelter from the elements and a place to make memories (must be a Trojan horse). Unfortunately, the Zestimate has been responsible for a great deal of confusion since Zillow started using the original algorithm in 2006. Even though the algorithm has been upgraded several times since its inception, it’s not perfect. Unfortunately, people deeply enveloped in the stressful process that is buying a house sometimes become ultra focused on the numbers that Zestimates provide, treating them more as an absolute than a flexible guide. Because most people don’t really know what goes into valuing a home, this issue of getting married to a valuation that’s not quite on the dot isn’t new. Even before Zillow, many homeowners believed that their home was worth so many dollars due to tax assessments that were often based on outdated information, collected during the initial construction of their home and updated based on average inflation. Why Have a Zestimate, Then? 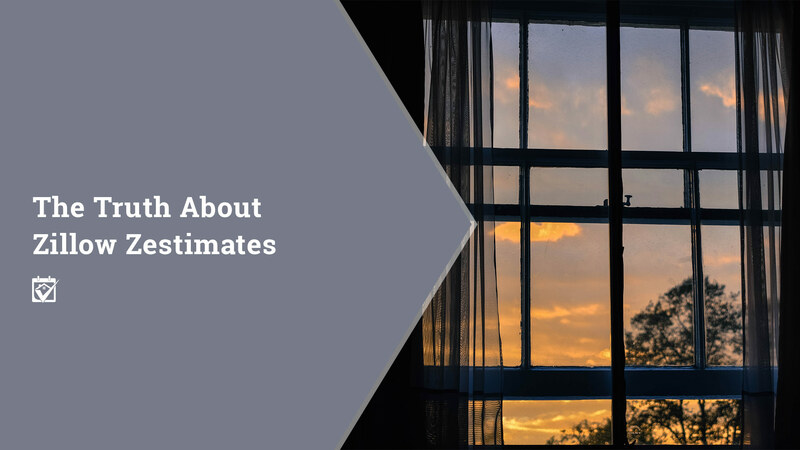 Zestimates aren’t the most accurate way to assess the value of a home because they aren’t able to pick up on the harder to quantify items that go into determining the value of a home. They can’t tell a freshly remodeled 1960’s ranch home from one that’s still got the original shag carpet, for example. They aren’t appraisals. For many homes, though, a Zestimate will get you in the ballpark. Zestimates work best in areas of high turnover, in neighborhoods with fairly similar homes. Because a Zestimate relies on public data like tax assessments and homeowner corrections of the basics, including the number of bathrooms and bedrooms, it can make a fine starting point for the potential home buyer or seller. Since you don’t buy and sell real estate constantly, having an overview of the neighborhood’s stats is helpful when you do–but you have to allow for wiggle room. Just because a listed house on Maple Drive has a Zestimate of $203,000 and it’s almost identical to your house next door, it doesn’t mean you won’t get more (or less) when you go to sell. Zestimates can give you a very general idea about the value of your home or a home you’re considering buying, but they aren’t appraisals. The only way to know what a home’s actual value is in the moment (because this can change rapidly in some markets) is to reach out to a home pro for their formal opinion.